The humble business card can boast some powerful results in marketing your business, if you create it with care. Since your card will linger long after your meeting's over, think of your business cards as your unsung sales force; they need to reflect your company and your product the way you would. The key is to create a business card design that's appealing, targeted and informative. Do use color for interest and emphasis. It can be in your logo or other images, in text or in background elements. Stay with a maximum of 3-4 colors. Pull colors from your logo for other background elements and type colors. Do match color tones. If you have bright colors in your image or logo, use black or other bright colors that work with it. If your colors are muted, earthy or pastel, stick to that scheme with the other colors. Do include a photo if it's a great picture of you and it's appropriate. Photos are most useful in service type businesses where an ongoing relationship is a critical factor. Don't use clip art for your logo or other elements. You're brand is your identity and these days you can easily find affordable images or get help with a custom logo online. Remember you want your business card to stand out in a memorable and positive way. Don't veer from other branded materials. Keep your business card design consistent with the general color and design scheme on your website, in your store, and other marketing materials. Do pay attention to alignment. Left align for easiest reading. Too much centered text can look cluttered and is hard to read. Do limit your business card to one or two font types. Don't use decorative or unusual fonts for your name and contact info, unless it's right for your business image. Use easy-to-read but not too generic fonts (such as Courier). Don't mix it up with different font sizes or text that is too small to read and print clearly. Don't use light colors that are difficult to read or have an excessively dark image in the background that obscures your text. Do match the "tone" of the card to your market space. A more traditional professional services or real estate business card, for example, might stay more conservative in layout and colors, while a colorful or splashy card could fit the bill for a toy store or trendy restaurant. Do use bleeds to extend colored backgrounds or images to look like they're "bleeding" off the edge of the card for a professional look. Don't cut it too close around the margins. Keep your logo and text away from the edges of the card. Be careful with borders or thin lines around the sides, since slight variances in cutting could make the lines look crooked or uneven. Don't use a non-standard size or shape. Unless you have a special need for it, stick to the usual 3.5 x 2 inch size to fit in most wallets, card holders and business card scanners. Rounded corners or other cut outs (called die-cuts) on the standard size, however, can add a distinctive touch. See our Business Card Specifications page for more information on setting up your card with bleeds and safe margins. And see some business card design ideas and examples on our samples page. Don't use cheap, thin paper. The recipient will wonder about the quality of your product or service. Compare papers when shopping for business card printing services. You'll want 12-14pt thickness for maximum impact and durability. Do match the coating to your purposes. Go with gloss to make photos look beautiful. Select a dull or matte finish for smooth, non-shiny business card printing that's easy to write on. Uncoated paper has a more textured feel that can look more formal and match stationery such as letterhead and envelopes. Request samples of our papers to see and feel the differences. Do opt for custom finishing options such as embossing, foil stamping or raised lettering that can give your business card that extra oomph. They cost less than you might think and add a touch of class. Now that you've got a solid design for printable cards, it's time to pay attention to the details of the information you're providing. The next decision a prospect will make is whether to contact you based on how clear and easy you make it on your business card. Include and align relevant contact info including an email address and website url. Double check the numbers and spelling of all text before you send it off to your business card printer and again when you review your proof. Typos and wrong numbers are easy to miss and can land your business card and your chances for a sale in the trash. Follow these tips and your own good judgment to create business cards that sell. You'll find that good things do come in small packages indeed. You've probably seen hundreds of business cards in your lifetime, each remarkably similar and non-descript. Conventional wisdom tells us that all business cards should follow a simple, conventional formula: name, company, title, contact information, and perhaps a colorful logo. Business cards 'should' be uniform in size and shape, printed in black ink on 3.5 by 2 card stock that fits neatly into standard size business card holders. However, do you remember the last time someone handed you a business card that made you stop and actually pay attention? Was there anything distinctive about it? Do you recall the information it contained? Most importantly, did it compel you to act? How can your card end up on the top of someone's mind instead of at the bottom of a stack or, worse yet, in the trash? It's Time to Break the Rules! Your business isn't standardized. It's the culmination of your entire life's work, the fruit of your hard labor, the payoff to your dedication. There's a piece of you in everything you do. It is unique and offers something different than your competitors. Your business card may be your first point of reference for potential customers. Why, then, would you even think about representing yourself or your business with the same business cards in the same size, shape and color that everyone else uses? Before designing your new business card, consider what you really want your card to say about you and your business. Shift the focus from what a business card conventionally is-a contact card-to what it should be: a business card that actually generates business! Contact information: Address, phone, fax, email, social media accounts. Standard business cards tell people how to contact you, they don't relay why a potential customer should. Who says your business card has to fit into a desktop Rolodex? Where is it written that all business cards must be printed on heavy, white card stock? Why can't you include more on the card than just your company's tag line? To be effective and generate sales from new prospects, your business card needs to be a reflection of you and your business. It can be any size, shape, color, and font you want. Consider alternative materials like plastic, magnets and even metal. You are unique. Your business is different from any competitor. When Dave Allen launched his own insurance company after 20 years working for someone else, he needed to completely rebuild his book of business, thanks to a non-compete agreement. Insurance is a fairly undifferentiated industry. It's the same basic products and services sold by hundreds of thousands of people nationwide, making it tough to stand out. Having a business card designed according to 'the rules' would not make it any easier. His solution? Break the rules! Abandoning standard practice for size and texture, he created a larger card than usual--more than twice the size of an average card at 3 ½" x 5". The card stock he used had a silky quality to it, much more intriguing to the touch than standard semi-gloss. In addition to Dave's basic information, he also included a powerful call to action, reminding potential clients exactly why they need to do business with him. The type face is even bolder than his company name. Securing new business is more important than simply promoting the name of the business. When Dave gives prospects this card, they aren't sure what to do with it. It doesn't fit in a Rolodex. It sticks out of card stacks. More often than not, according to Dave, it will sit on the prospect's desk until they call him for a quote, which is exactly what he wants them to do! 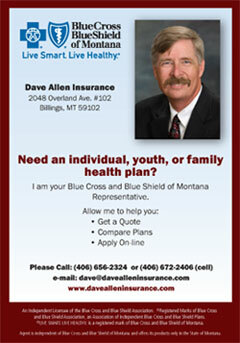 Through the use of this highly effective business card, Dave makes more now than he ever did in his previous position. To achieve lofty goals you have to think outside the box. Literally. You can't succeed in business by limiting yourself to standard, ordinary practices. Innovators reap the greatest rewards. Jonathan Drake knows that all too well. His company launches new products with people's hopes, dreams and fortunes in the balance. As an innovative entrepreneur, he deals with other innovative entrepreneurs for a living. They've already seen or thought it all--it's not easy to sell them. Jonathan knows his clients must perceive his company as fresh and modern, on the cutting edge, two steps ahead of the curve. When you are pitching the next best thing, your clients have to think you're better than the next best thing. When Jonathan came to PFL, we realized the challenge of making those qualities shine through what is an otherwise mundane piece of marketing collateral. His business card is a testimony to what Jonathan does, stronger than any former client could provide. When prospects receive his card, they immediately know what this man does and how he can help them. They know he can generate the six- and seven-figure results he says he can because he has the forethought to produce a card this innovative. What am I really selling to my customers? How do I want prospects to perceive me and my business? How can I show, rather than tell, my customers what I do? What can I do to provoke action? What will turn this into a lead-generating system? How do I make my business stand out from all the noise? For example, have fun with the job title on your card so it more accurately and poignantly explains what you do. A non standard title can both imprint your work on the customer while also serving as a conversation starter. Everyone knows what a CEO is, but what about a CSO (chief satisfaction officer), or a CCO (chief convergence officer) or a CQO (chief quality officer). The possibilities are endless. Take every opportunity to define your role and expand your business horizons. The business card may be the first impression you make on potential new customers. It is the ignition switch to fire up company growth. You can't afford to do what everyone else is doing-nor should you want to! You are different, your company is different. Your business card should reflect that-and actually generate new business! Optimize your strategy by starting with your silent salesman. Make him pitch your services loudly--long after you're out of the contact's line of sight. Make the contact remember your name, your brand, your promise. Make the sale.